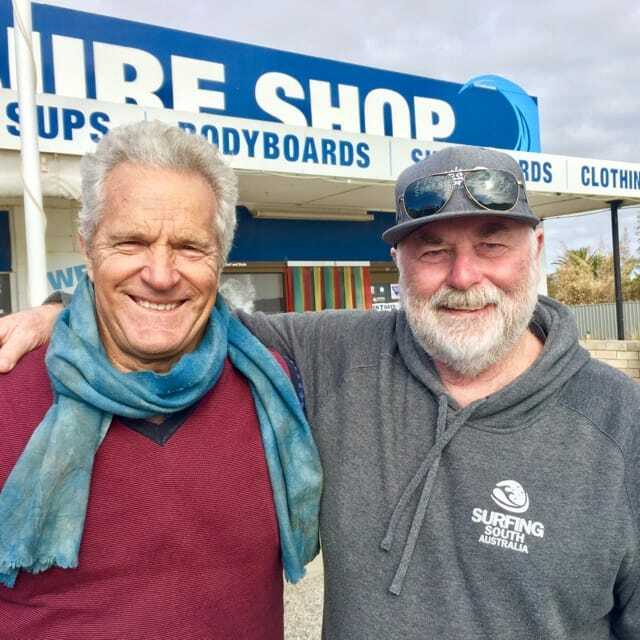 Moving into his 20th year at his surf shop, Preecey, (Brenton Preece), still gets a huge buzz introducing newcomers to the excitement of the surfing life. He’s way more than a survivor, seeing three of the major local surf shops close their doors over the last couple of years, putting down his longevity, by going with the flow of changes in the surfing industry and culture as well as providing a huge range of surf hardware surfboards and apparel. Preecey started surfing local breaks on the mid coast in the 60’s, 56 years ago. He learned to surf on a locally made, Jay Bee malibu. A little known fact is that he has surfed in Indonesia, with over 16 trips, surfing breaks like, Balian, Cimaja in West Java and Canggu his beloved break, when over 6ft plus and pumping. He is a true local. seeing many changes in the area. The block he purchased in Seaford in 1971, for $680 was sold two years later to buy his first surf wagon. 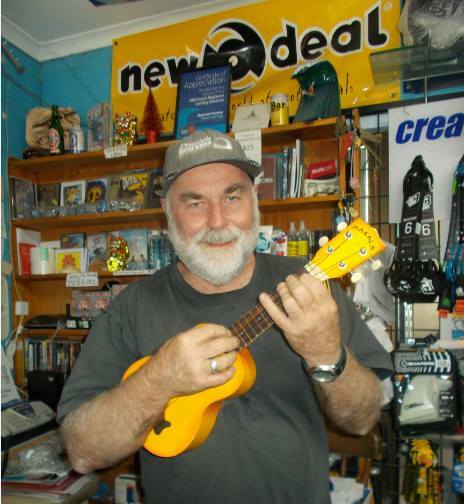 Brenton's defining elements were definitely his surf vehicles, starting with his FJ Holden, grey EH Holden Panel van, Land Rover 4WD followed by his orange VW Combi camper. 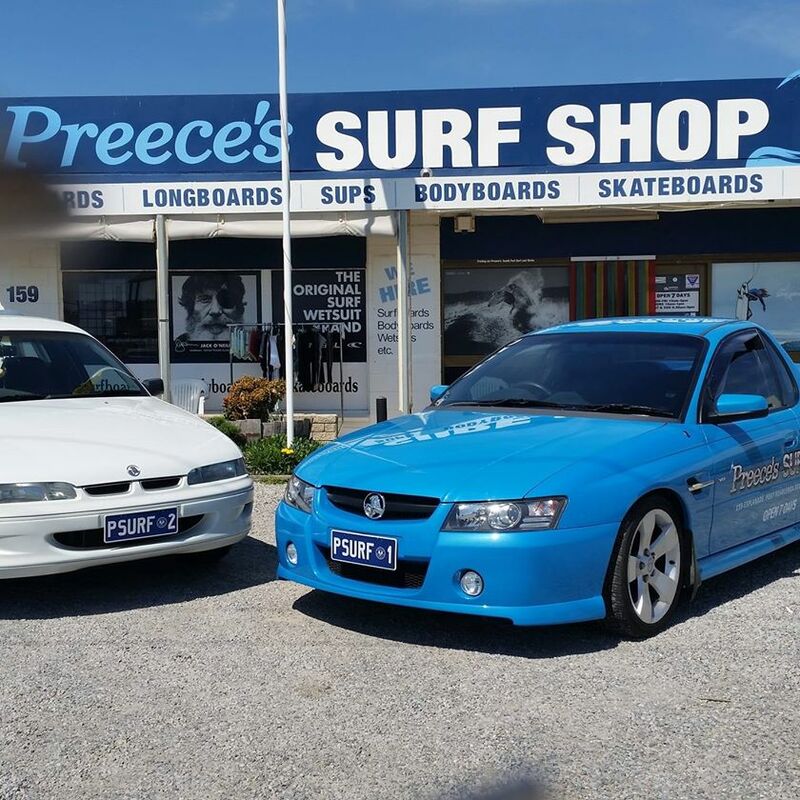 The blue and white, Commodore Utes can be seen everyday outside the shop. Moving into his 20th summer, he’s giving back to the local surf community with a Surf art-photography Exhibition, with laid-back chilled tunes on the lawns next to the shop on 27 October. 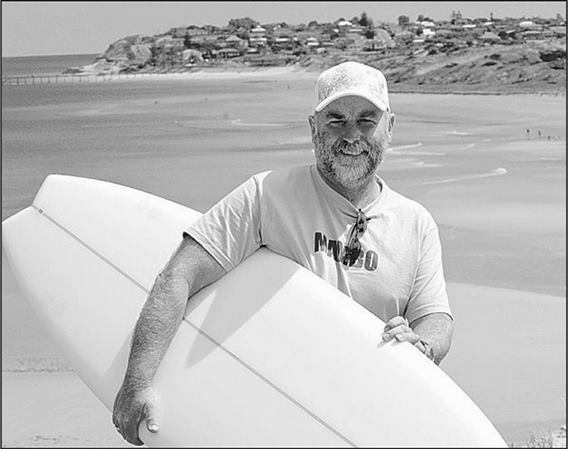 The surf art-photographer featured will be Shane Smith, hailing originally from Eyre Peninsular as well as tunes by Alice Haddy and DD Funk, featuring David Egglestone, longtime resident and surfer of Port Noarlunga.